The IBM® TS2900 Tape Autoloader is an entry-level automated backup for rack systems and small to midsize businesses. With a low-profile, high-density storage capacity, the TS2900 is ideally suited for backup and archival operations. The TS2900 is available with half-height LTO Ultrium tape technology, with 6 Gbps SAS drive options. Web-based remote management and a bar code reader help provide ease of use. 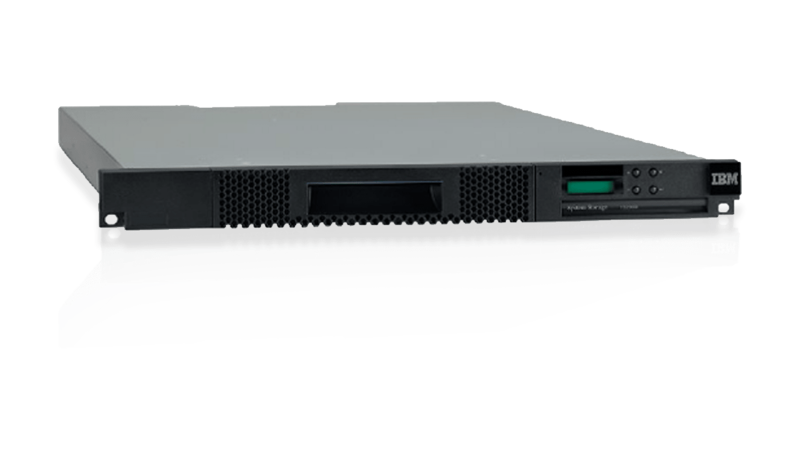 The TS2900 can be used in a rack system or on a desktop next to a server in an office. 1U system designed for rack system environments for automated, high-capacity tape storage.